The following article appeared in the Daily Mail. 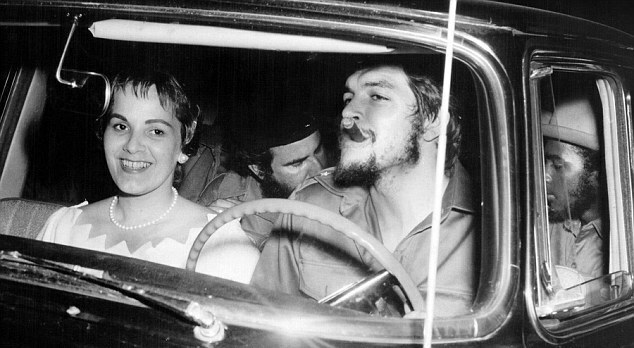 The daughter of iconic South American revolutionary Ernesto 'Che' Guevara has told for the first time of her love for the man she called 'Papi'. Dr Aleida Guevara was almost seven years old when her father was executed in the Bolivian jungle in 1967 by agents working for the CIA. She recalls how he would occasionally visit her and her brother in disguise after vanishing from Cuba when he fell out with the Russians who backed his close confidante Fidel Castro. 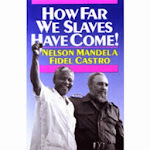 Now 45 years after his death, Dr Guevara told the Daily Mirror: 'Up to 16 I wondered, "Why should I love my father?" He was never beside me. The eldest of Che's four children from his second marriage, Dr Guevara is in Britain to speak at a fringe meeting at the TUC conference. 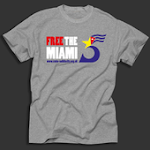 She is campaigning for the Miami Five, who were jailed in 1998 in the U.S. for allegedly infiltrating anti-Castro terrorist groups. Her father's face has been exploited on millions of T-shirts, catwalk fashions, posters, a vodka bottle, and even a bikini worn by superstar model Gisele Bundchen. Dr Guevara, 51, said she is happy for his image to be used by fans, but admitted she gets angry if her father is 'economically exploited. He left Aleida - named after her mother - when she was four but kept in touch by letter and tried to be a parent, inventing fantasy characters to keep the children under control. She only learned he had died when posters bearing his picture started appearing on the streets of Havana where she lived with her siblings. It was Castro himself who prepared her for his death when he told her she should not cry for her father because Che had written to the Cuban leader saying that he had died the way he wanted to. Che, was an Argentine Marxist revolutionary, physician, author, guerrilla leader, diplomat, and military theorist. As a young medical student, Guevara travelled throughout Latin America and was radically transformed by the endemic poverty. Later, while living in Mexico City, he met Raúl and Fidel Castro and joined their movement to overthrow the U.S.-backed Cuban dictator Fulgencio Batista. Guevara soon rose to prominence among the insurgents, was promoted to second-in-command, and played a pivotal role in the victorious two-year campaign that deposed the Batista regime.